My recent trip to Portugal inspired me to get back into making stuff that doesn't require any coding. When I was a kid I used to have woodworking classes in school and I was actually pretty decent at it back then. The thought of getting back into woodworking had been on my mind for quite some time but for some reason I just had not gone for it until last month. 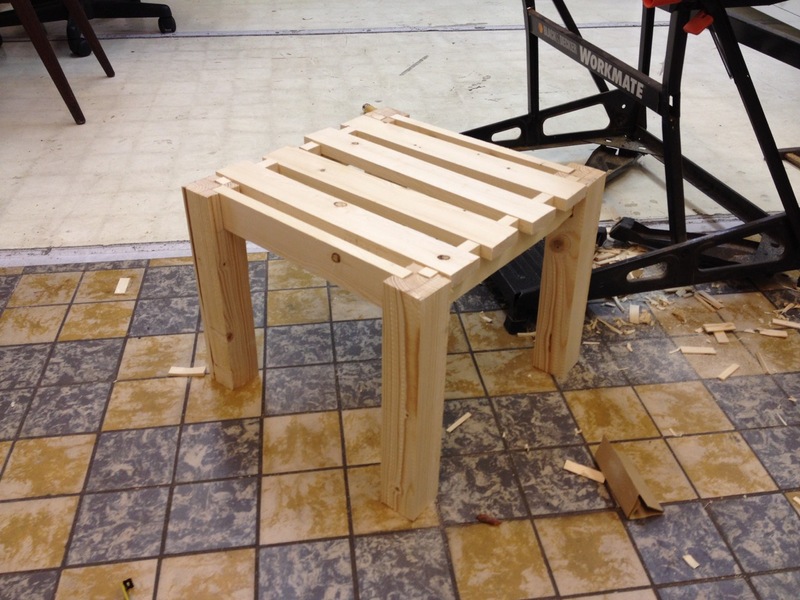 I decided that I'd try to make a small wooden stool/chair as my first project. I had actually made one back in the early 2000's and to this day my parents still use it. 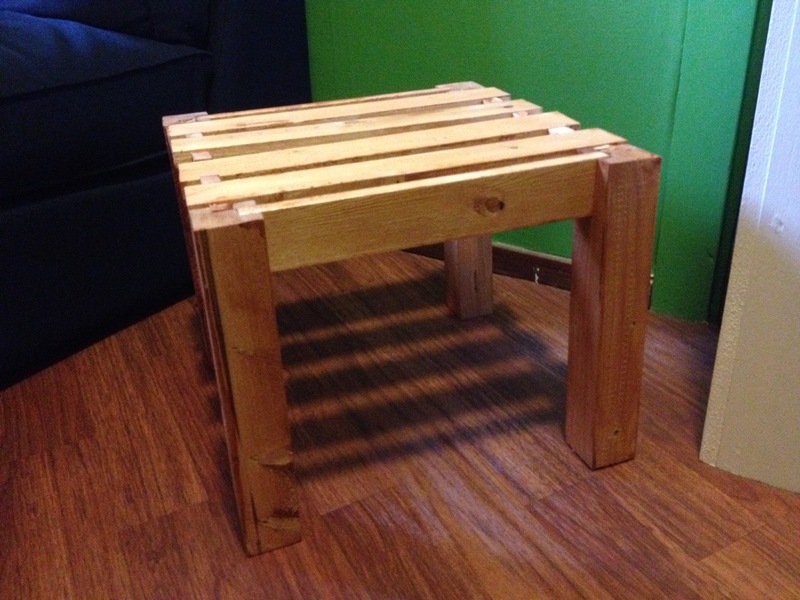 I also wanted to make this stool without using any nails. Mainly because earlier this year I had seen a couple of documentaries about Japanese woodworking and the use of nails seemed rare in the traditional form of their craft. I find the Japanese woodworking and design style extremely elegant and beautiful. The fact that all the parts just click together using perfectly fitting joints is design at its finest to me. 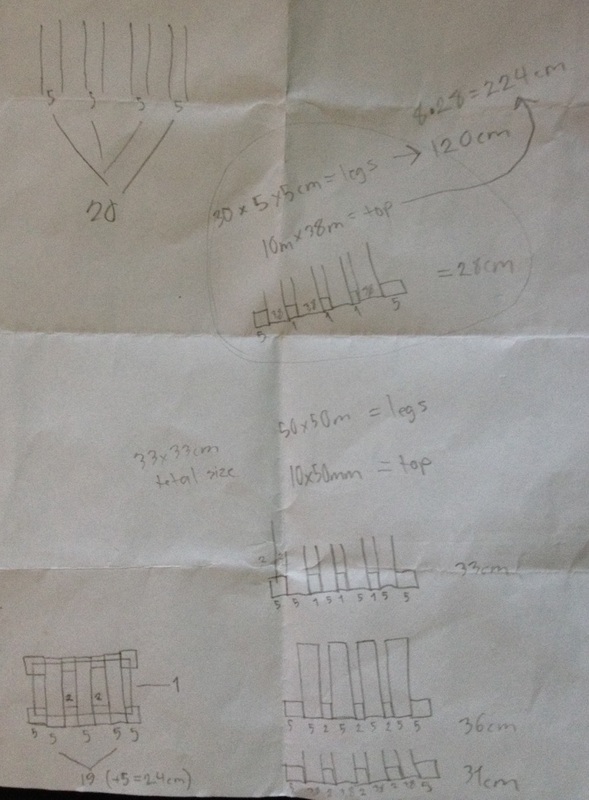 I started my project by sketching ideas on paper. 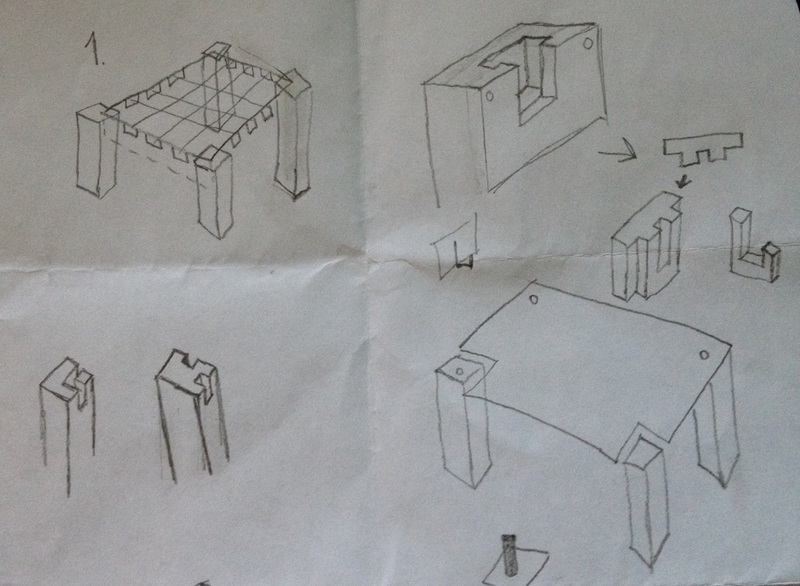 The design required some thinking because I had to make sure that all the parts would stay together without nails. Once I figured out the design then it was just matter of deciding the dimensions. In the photos below you can see that I went through a few different iterations before getting to the final one. Next it was time to go to the near by hardware shop, buy some food and a few tools. In hindsight I can say that I should have invested in a bit higher quality wood. The stuff I bought was probably the cheapest they had and I had some trouble with the wood cracking and chipping in unwanted ways. That didn't stop me though. 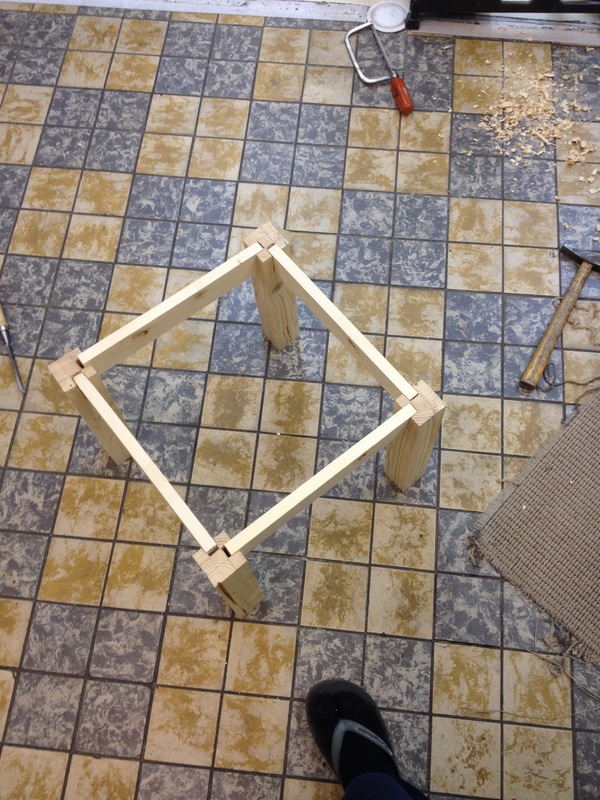 I started the actual work by chopping two notches to each of the four legs. This is when I quickly discovered that doing this the Japanese way is not so easy. 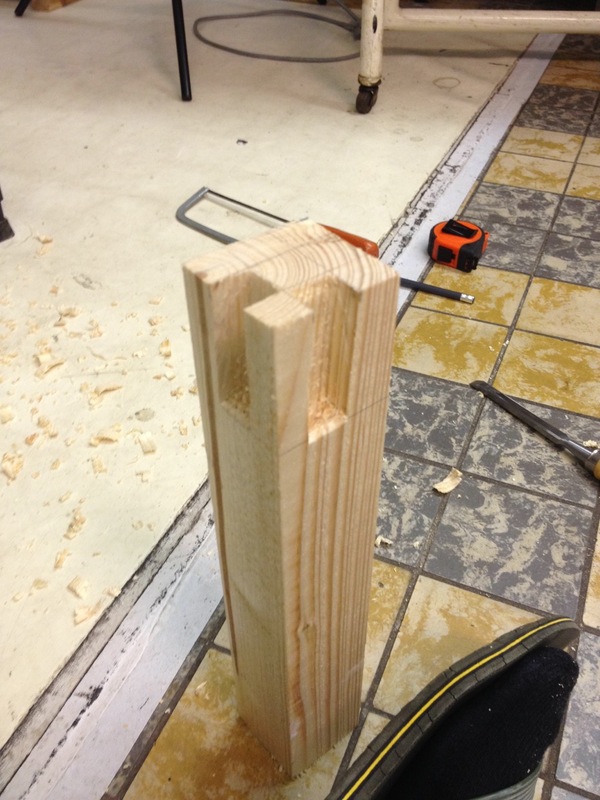 I underestimated the precision and patience that would be required to make such perfect wooden joints. I thought to myself that since this is my first project in a long time I shouldn't expect such mastery from myself. Instead I just focused on making and having fun while doing so. Once I had all the notches done, which took a while by the way, I cut out the wooden pieces that connected all the legs together.